Exposition promotes seafood education through an expanded conference program and series of knowledge sharing events. 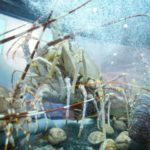 HONG KONG (25 August 2017) – With the countdown to Seafood Expo Asia underway, event organizers Diversified Communications today announced details of the speakers and presentations that will headline its upcoming exposition to be held from 5-7 September 2017 at the Hong Kong Convention and Exhibition Centre. According to Event Director, Ms. Iris Kwan, seafood professionals attending the 2017 event can look forward to an expanded conference program and series of events that will be hosted in two theatres of education, and will equip industry buyers and suppliers with the knowledge that they need to keep abreast of market conditions and continually evolving consumer demands. 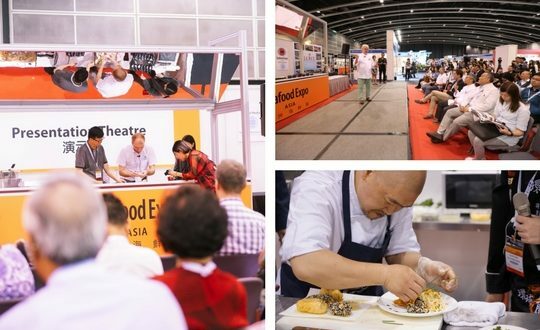 Led by industry experts and chefs, visitors will have the opportunity to join conference plenary sessions, interactive master classes, culinary demonstrations, networking events as well as lively panel discussions and a workshop, while witnessing who is crowned the first winner of Seafood Expo Asia’s newly launched, Young Chef Challenge. A leading forum within the trade event itself, Seafood Expo Asia’s conference will bring together industry players and seafood specialists from around the world to discuss the latest topics and trends affecting the region’s fish and aquaculture market. With the Food and Agriculture Organization of the United Nations predicting that Asia’s seafood market and consumption will lead the world by 2025, this year’s expanded conference program sets the agenda for 2017 and beyond by providing attendees with access to the latest market and product intelligence, whilst addressing some of the most pressing issues facing the industry. Solution to Cold Chain Disruption Dr. Matthew Man, President and CEO of Megasoft Ltd.
Miss Janice Lao, Director, Corporate Responsibility and Sustainability, The Hong Kong and Shanghai Hotels, Ltd.
To help participants keep pace with the hottest products, Seafood Expo Asia’s live demonstration theatre will host a series of master classes, culinary demonstrations and product innovations presented by the industry’s leading players. Designed for buyers, senior executives, procurement managers and chefs from the foodservice, retail and seafood related industries, the onsite culinary presentations will educate visitors on how to source, select and prepare today’s most popular products, uncovering food trends and ideas to improve both top and bottom-line results. 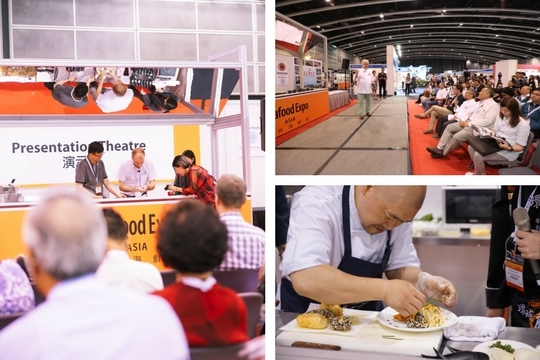 New for this year, Seafood Expo Asia is introducing a special Young Chef Challenge that will highlight the next generation of culinary talent in Hong Kong. Featuring sustainable seafood, attendees will be able to witness talented chefs creating unique dishes using mystery seafood ingredients in three exciting rounds of cook-offs. The winner of the 2017 title will be announced at the Seafood Expo Asia demonstration theatre at 12:30p.m. on the final day of the event. The panel of judges for the challenge will consist of Mr. Gerhard Passrugger, Executive Chef, Grand Hyatt Hong Kong, Mr. Adam Mathis, Executive Chef, Island Shangri La, and Mr. Florian Muller, Chef de Cuisine, Harbour Grand Hong Kong. Aside from attending the educational sessions, participating exhibitors, hosted and key buyers will be invited to attend an exclusive Seafood Party scheduled to take place on the first afternoon of the exposition. Serving as a platform for networking, the reception provides the perfect opportunity for seafood executives to meet with potential new business partners, while catching up with existing contacts. 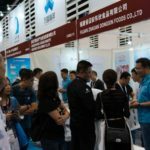 In addition to its scheduled events, Seafood Expo Asia will once again offer a business matchmaking program for key and hosted buyers and high-volume importers to meet with qualified suppliers. The program is designed to assist participants in planning their day by searching for specific companies or products and pre-arranging meetings over the three day event. For full event details and timings, please visit http://www.seafoodexpo.com/asia.